A proxy server is a server that caches the internet. Clients connect to the proxy server with a request for an internet server. The proxy server will connect to the internet server on behalf of the client. The proxy server will also cache the pages retrieved from the internet server. 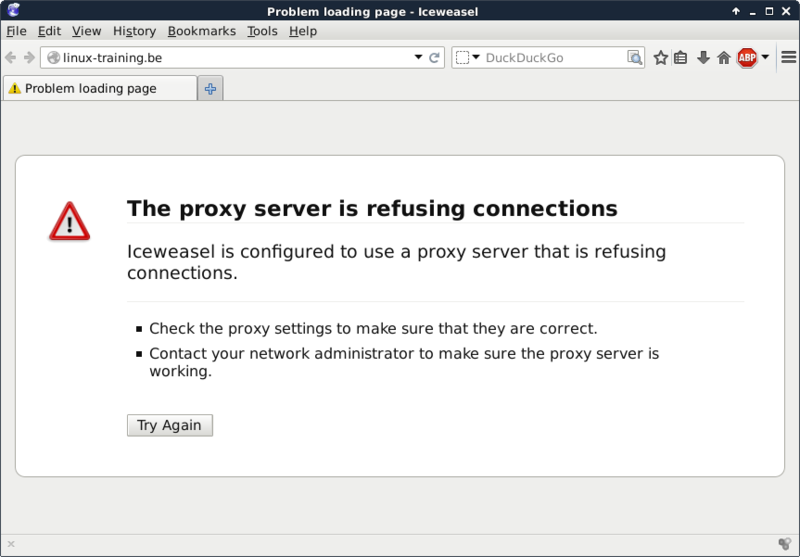 A proxy server may provide pages from his cache to a client, instead of connecting to the internet server to retrieve the (same) pages. A proxy server has two main advantages. It improves web surfing speed when returning cached data to clients, and it reduces the required bandwidth (cost) to the internet. Smaller organizations sometimes put the proxy server on the same physical computer that serves as a NAT to the internet. In larger organizations, the proxy server is one of many servers in the DMZ. When web traffic passes via a proxy server, it is common practice to configure the proxy with extra settings for access control. Access control in a proxy server can mean user account access, but also website(url), ip-address or dns restrictions. You can find lists of open proxy servers on the internet that enable you to surf anonymously. This works when the proxy server connects on your behalf to a website, without logging your ip-address. But be careful, these (listed) open proxy servers could be created in order to eavesdrop upon their users. This module is an introduction to the squid proxy server (http://www.squid-cache.org). We will first configure squid as a normal proxy server. This screenshot shows how to install squid on Debian with aptitude. Use yum if you are on Red Hat/CentOS. Need to get 1,513 kB of archives. After unpacking 4,540 kB will be used. Restarting Squid HTTP proxy: squid. squid's main configuration file is /etc/squid/squid.conf. The file explains every parameter in great detail. By default the squid proxy server will lsiten to port 3128. You can manage squid with the standard service command as shown in this screenshot. Starting Squid HTTP proxy: squid. Stopping Squid HTTP proxy: squid. To enable a proxy server in Firefox or Iceweasel go to Edit Preferences and configure as shown in this screenshot (replace 192.168.1.60 with the ip address of your proxy server). Test that your internet works with the proxy enabled. Also test that after a service squid stop command on your proxy server that you get a message similar to this schreenshot. Disabling the proxy with service squid stop should result in an error message similar to this screenshot. A proxy server sits inbetween your browser and the internet. So besides caching of internet data (the original function of a proxy server) and besides firewall like restrictions based on www content, a proxy server is in the perfect position to alter the webpages that you visit. You could for instance change the advertising on a webpage (or remove certain advertisers), or like we do in this example; change all images so they are upside down. The server needs command line tools to manipulate images and a perl script that uses these tools (and wget to download the images locally and serve them with apache2). In this example we use imagemagick (which provides tools like convert and mogrify). 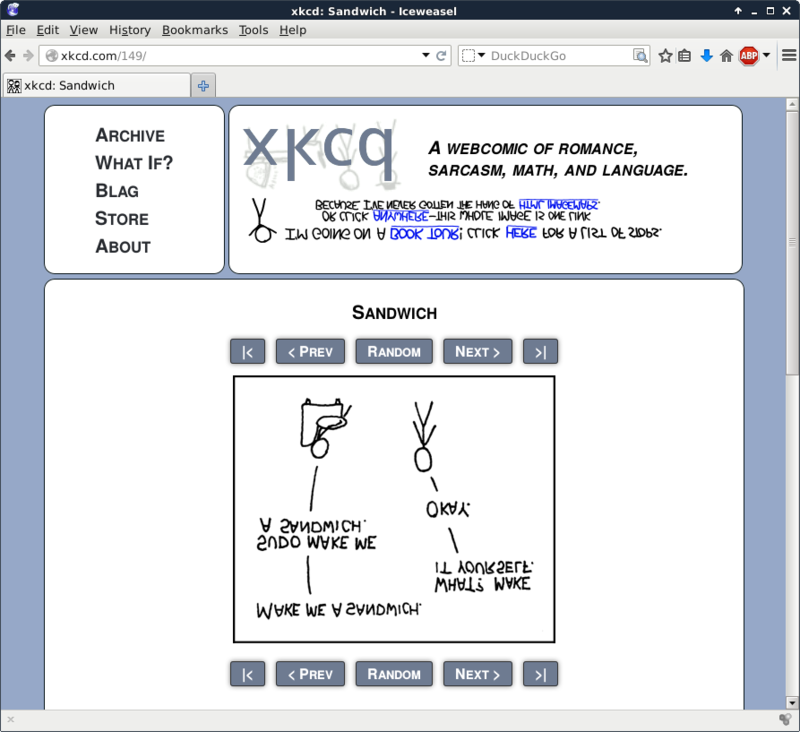 The perl script that is shown in the screenshot below can be found on several websites, yet I have not found the original author. It is however a very simple script that uses wget and mogrify to download images (.jpg .gif and .png), flip them and store them in /var/www/images. Change (or enable) also the following line in /etc/squid/suiqd.conf. The directory this script uses is /var/www/images and should be accessible by both the squid server (which uses the user named proxy and by the apache2 webserver (which uses the user www-data. The screenshot below shows how to create this directory, set the permissions and make the users a member of the other groups. Test that it works after restarting squid and apache2. The standard log file location for squid is /var/log/squid. The default squid setup only allows localhost access. To enable access for a private network range, look for the "INSERT YOUR OWN RULE(S) HERE..." sentence in squid.conf and add two lines similar to the screenshot below. First, make sure that the server running squid has access to the internet. Then configure a browser on a client to use the proxy server, or you could set the HTTP_PROXY (sometimes http_proxy) variable to point command line programs to the proxy. Testing a client machine can then be done with wget (wget -q is used to simplify the screenshot). You need name resolution working on the squid server, but you don't need name resolution on the clients. Resolving grep.be... failed: Temporary failure in name resolution.